Bring the Boat ... and the In-Laws ... there's plenty of room ! You will love this custom built contemporary ! 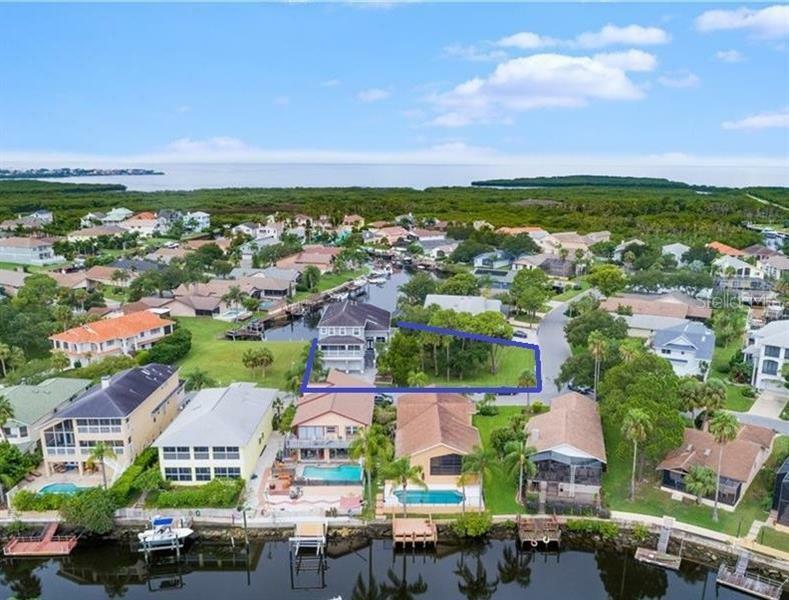 Enjoy the safety and security of a True 3 Story Waterfront Pool Home with Private Dock and 10000 pound boat lift providing direct access to Florida's Gulf of Mexico. 5500 square feet of true heated & cooled Living Area ... and its All FEMA Compliant And Insurable ! 5 Bedrooms (3 are En-Suite !) 5 Full Bathrooms an Owners Office 2 Gas Fireplaces (Master Bedroom and a double-sided Formal Living to Family Room) a second In-Law/Pool Kitchen a true 3 Car Garage (no jockeying cars every day with those tandem-garages). Over 2000 square feet of Concrete covered and screened exterior porches ... the list goes on. Don't be misled by those Non FEMA Compliant / Building Code Violation / lower 'bonus' rooms ! A 1 year Home Warranty is being provided by Seller. Community Amenities include: Waterfront Clubhouse heated pool & jacuzzi sauna lighted tennis courts ... and then there's our Community's Private Gulf front Beach Club ! Motivated Seller to review all reasonable offers with proof of funds/lenders approval (as they've already started moving in to their replacement home). Private showings are available by appointment only (with 2 hr min please). Never flooded and undamaged by either Hurricane Irma or Michael ! Courtesy of Tropical Life Realty, Inc.